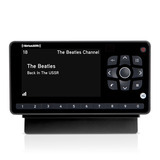 SiriusXM radios have been designed to provide you with trouble-free performance without the need for servicing. If your radio does not appear to be functioning properly, please try these helpful troubleshooting tips. Please note, messages displayed on your SiriusXM radio screen may vary slightly from what's noted below. 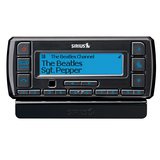 Additional troubleshooting tips specific to your SiriusXM radio can be found in your SiriusXM radio's user manual. 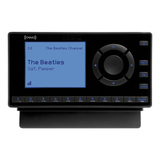 Helpful tips and procedures to improve performance of your SiriusXM Radio can be found at Installation Help. No Signal or Acquiring Signal Make sure the SiriusXM antenna is mounted on the outside of the vehicle and that there are no obstructions blocking its view. If you are parked in an underground garage, you should receive a signal after leaving the garage. Antenna or Antenna Not Detected Make sure the SiriusXM antenna cable is firmly and securely plugged into the cradle. Make sure the SiriusXM antenna cable is not bent or broken. Turn your SiriusXM radio off, then on, to reset this message. If using a Dock & Play or Portable Radio, remove the Radio from its docking cradle and then reinstall to attempt to reset this message. Off Air The channel you've selected is not currently broadcasting. Tune to another channel. 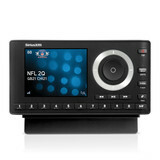 Loading Your SiriusXM radio is acquiring audio or program information from the satellite. This message usually goes away in a few seconds. Updating SiriusXM is updating your Radio with the latest encryption code. Wait until the update is complete. This message may also display when you are trying to tune to a channel that is unavailable or blocked. --- No program information, such as artist name or song title, exists. No audio when listening through an FM radio Check to make sure your XM radio and your car radio are tuned to the same FM frequency. No Audio using Aux Cable Make sure all of the cables between your SiriusXM radio and your stereo system are connected firmly and securely. Make sure the FM mode in the SiriusXM Radio is turned Off. Make sure host radio is on auxiliary input mode. Audio fades or has static when listening Check to make sure all cables are connected firmly and securely. If the problem persists, it may be interference from another FM channel. Refer to the "Find an FM Frequency" section in your SiriusXM radio's user guide. Find the best FM channel for your area here: www.siriusxm.com/fmchannel. Audio sounds too soft Raise or lower the FM audio level until the sound quality improves. Refer to the "Setting the Line Out Level" section in your SiriusXM radio's user guide. XM Instant Traffic and Weather channels sound different from other XM channels These channels use a different audio technology than the other XM channels so they often sound different than other XM channels. No song title or artist name is displayed The information may not be available or updates may be in progress. Your SiriusXM radio turns off unexpectedly If your radio has a sleep timer, and it is set, your SiriusXM radio will turn off after the selected length of time. Turn off the Sleep Timer feature.